The same week that a 26-year-old man fatally shot nine students at Umpqua Community College in Rosenberg, Oregon, the Marist theater department announced that it will host a student production of the highly controversial play, “columbinus,” during the spring semester. Written by American playwright and screenwriter, Stephen Karam, “columbinus” is an artistic retelling of the 1999 shooting at Columbine High School. The play incorporates instant messages sent between the two shooters, Eric Harris and Dylan Klebold, and actual audio recordings from the day of the shooting. Karam, who is known for his dark style, researched court records and witness statements to make the play not only factually accurate, but chillingly authentic to the actual massacre. First premiering in 2005 at the Round House Theater in Silver Spring, Maryland, “columbinus” involves eight characters that embody different high school stereotypes: Freak, Loner, AP (Advanced Placement), Jock, Prep, Faith, Perfect and Rebel. In Act II, Freak and Loner reveal themselves to be Harris and Klebold while the two perpetrators’ senior photos are projected onto a screen in the background. As the plot progresses, the lives of these two teenagers are examined. Throughout the play, both characters are bullied and ostracized by the rest of the cast, causing them to seek revenge. In one of the most powerful scenes of the play, however, each character is seen when they are completely isolated from the high school realm and the veneer of their stereotype is lifted. Here, the audience learns that each character is dealing with a serious issue they keep hidden, emphasizing the point that everyone is coping with demons, but only Harris and Klebold acted upon them. Recently, Karam added a third act to the play, where cast members become survivors and townspeople who reflect on the incident. Some productions have even included parts that discuss recent mass shootings like Aurora and Sandy Hook. 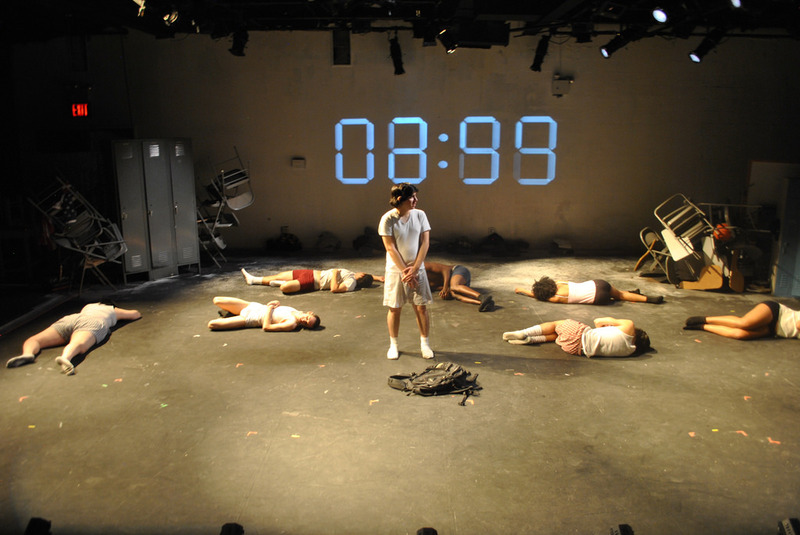 After receiving mixed reviews during a brief off-Broadway run in 2006, “columbinus” has been staged selectively due to its avant-garde style and disturbing content. Northeastern University and the University of Denver are two schools which have held recent student productions; a few community theaters across the U.S., like the Oregon Children’s Theater, have put on the show as well. The impetus for Marist’s production of “columbinus” comes from the return of experimental theater, a segment which the school has not held since 2011. Casting is expected to begin in early March, with the opening night most likely slotted for April 15. 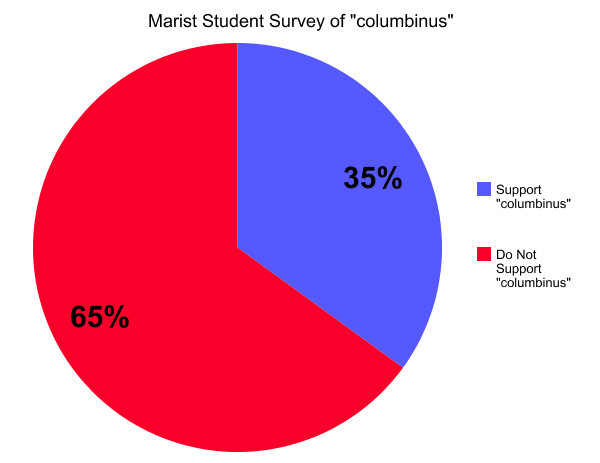 A director has yet to be chosen for the play, but various sources indicate there is a possibility of Marist hiring a director outside of the school. The Director of Marist’s Theater Program, Matt Andrews, was unavailable for comment. As one of thirteen different options for experimental theater, “columbinus” was highly debated even among the panel which selected it. The nomination that finished second was “How I Learned to Drive,” a play written by Paula Vogel which went on to win the 1998 Pulitzer Prize for Drama. Set in the 1960’s, the play details an incestuous relationship between a young girl and her uncle, while exploring themes of pedophilia and misogyny. One of the major concerns about hosting the play is student safety, as some fear it may incite a violent incident similar to the one being depicted. Considering that the themes of alienation and depression are pervasive at colleges across the U.S., the question of audience and cast member stability has also been raised. Although there are various arguments raised against “columbinus,” many contend that the show spreads awareness about the burgeoning issue of mass shootings and may prevent incidents like it from occurring again in the future. Including the two shootings that occurred on Oct. 9th at Northern Arizona University and Texas Southern University, there have been 52 school shootings this year, according to various sources. This figure has become a black eye on the country and its severity should be obvious. That’s more than the amount of school shootings in the 1970’s and 1980’s combined. In fact, The Washington Post writes that the U.S. has not gone more than eight days without a school shooting in 2015. Past audience and cast members alike have also found the play to be an incredibly moving experience. Included below are tweets from people who have performed in “columbinus” or seen the play performed. A year since the opening of "columbinus"- my heart is so full of feels. What an incredible experience. If you have nothing going on tonight come to DU and see Columbinus because it's an important story to be shared. s/o to the cast & crew of columbinus. probably one of the best shows I've seen at bowie. the tears were shed, all of them……. While school shootings continue to be a divisive topic across the country, “columbinus” is one of the few works of art to address the issue. The only question that remains is whether this play glorifies two men who committed one of the worst mass shootings in recent history, or whether it can create enough awareness to finally propel this country away from violence and hatred. This entry was posted in Arts, On Campus and tagged On Campus. Bookmark the permalink.